The U.S. Department of Veteran Affairs (DVA), U.S. Army, U.S. Navy and U.S. Air Force offer a variety of military scholarships and loan repayment programs in exchange for military service. Each program is different. Contact your branch recruiter for program details. 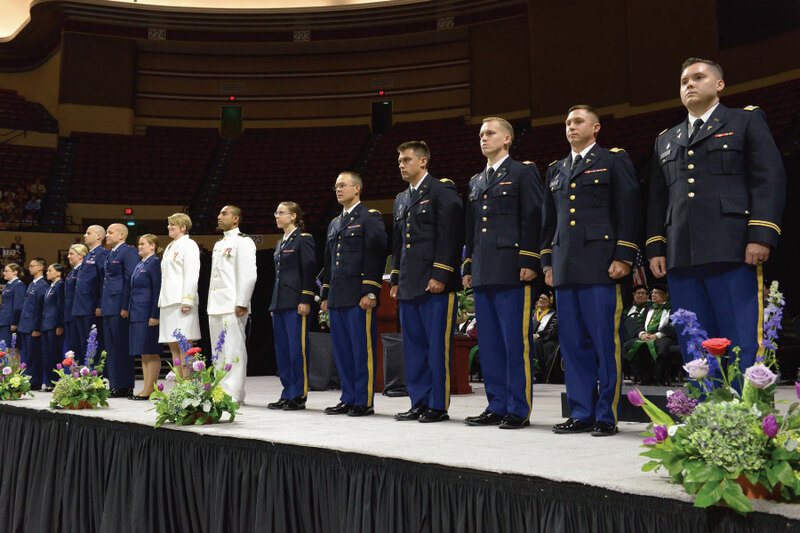 To be eligible for a military scholarship, you must be a U.S. citizen. Recipients are provided full tuition, fees, books, equipment and a monthly stipend. For each year of scholarship support, you must serve one year in the designated service branch. The minimum obligation is two years. KCU is approved by the Department of Veterans Affairs (DVA) for the certification of students eligible to receive VA educational benefits, such as military scholarships and loan repayment programs. To determine eligibility, contact the DVA and apply for education benefits (DVA Form 22-1990) or request a for change program or place training (DVA Form 22-1995) if you have previously used your benefits at another institution. Once you are notified by the DVA of your eligibility to receive educational benefits, submit the following to the KCU Director of Financial Aid.